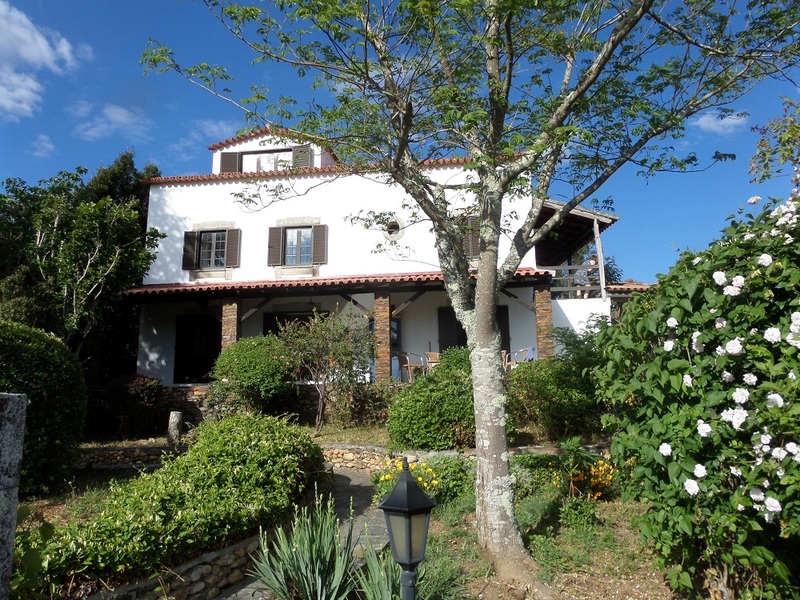 Welcome to our beautiful quinta (wine farm) in central Portugal. The villa together with its guestrooms can accommodate up to ten or twelve people. There is a total of five bedrooms, four bathrooms, two kitchens, a recreationroom, a spacious swimming pool and various sunny as well as shady terraces, a large lawn, orchard, volleyballnet and jeu-de-boule alley. There are no eucalyptus trees that can cause fierce forest fires. Free wifi is available in the villa. The villa as well as its guesthouses have thick slate walls characteristic for this area. The quinta is very suitable for two or three families. Enjoy staying there together with family or friends and exploring the beautiful nature or the historic cities. In Central Portugal is no mass tourism. The quinta offers a lot of privacy. In the evening there is often a clear starry sky to admire. We -Kees and Froukje – live with our two children in Amsterdam. We purchased our beautiful quinta at the end of 2016. In 2017 we renovated the swimming pool and expanded the terrace surrounding the pool. Adjustments were made to the house and the guesthouses for more comfort, maintaining however their authentic charm. We hope to spend many of our holidays here, but the villa and its guestrooms are available for rent when we ourselves are not in Portugal. Copyright © 2019 Lovely holiday villa with private pool. Powered by WordPress. Theme: Accelerate by ThemeGrill.